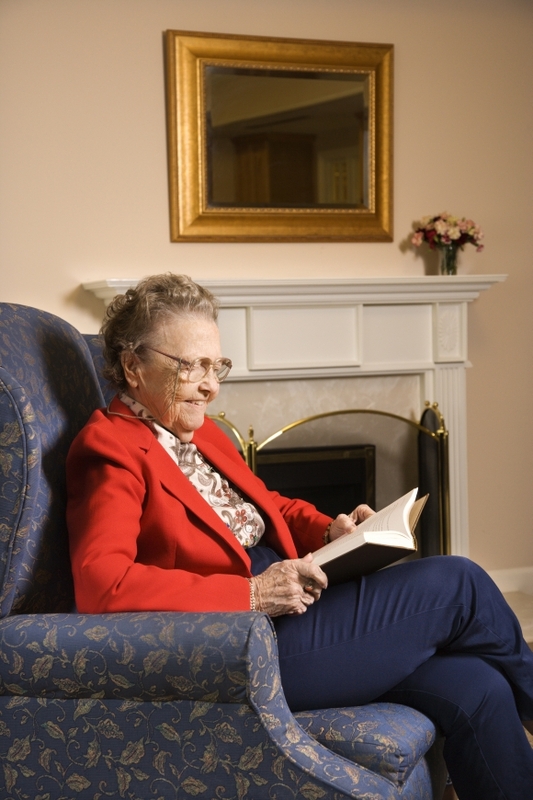 Those who lived alone in 1990 represented approximately 23.9 percent of all U.S. households. This number grew by nearly 5 million since 1980. 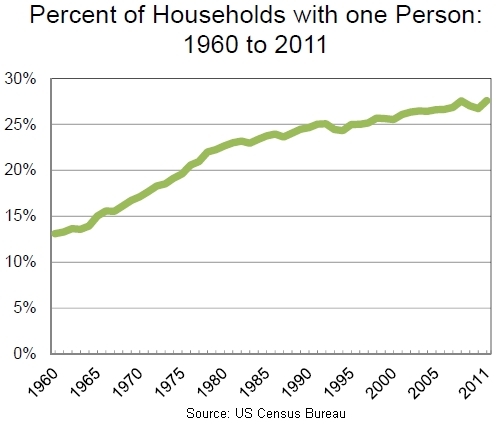 That means that nearly one of every four households was a person who lived alone in 1990. By 2000, 25.8% lived alone. By 2010, 26.7% lived alone. Percent change 2000-2010: +3.2%. Slightly more than 31 million households consist of one person living alone in 2010, according to the U.S. Census Bureau. A recent report based on the 2010 census shows an increase of 4 million one-person households from 2000. It’s all due to declining marriage rates and a high divorce rate.